Can You Hear the Sound? by Donna Milham is an invitation to journey into the depths and sounds of the eternal. Readers can expect to encounter the depths of God's heart, where they will discover the rhythms, the movements, and the sounds of heaven. Can You Hear the Sound? 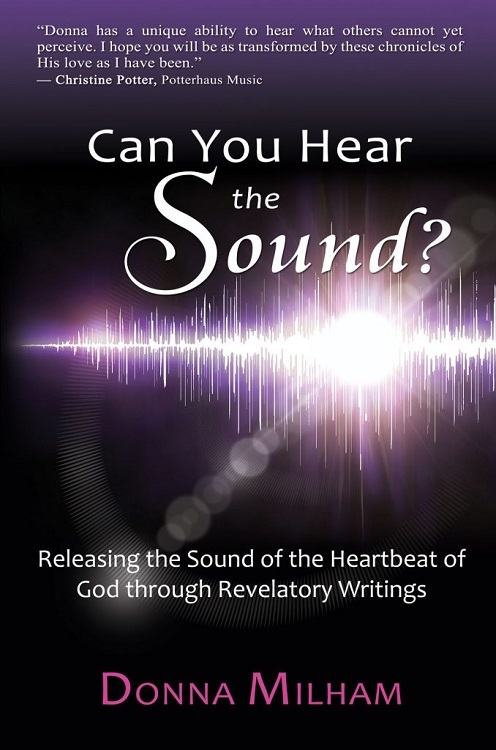 calls the reader to be transformed by hearing the sounds of His breath, His roar of jealous love, His sounds of peace, His sounds of resurrection's release, and more. Donna's desire in writing this book is for all readers to experience transformation as Holy Spirit breathes and awakens their hearts to venture deeper into the realities of heaven that are being released on earth from intimate moments with the Eternal One. To purchase her book, visit www.DonnaMilham.com. Cost is $14.95 plus tax and shipping as applies.